For hundreds of years, Dragons have roamed the lands of the Known World. They are not simply pests and menaces, but the main cause of the loss of many lives. Only a brave few can slay a dragon. Even less can tame one. Welcome, to Ice and Fire. Ice and Fire is a mod created by both Raptorfarian and Alexthe666, which hopes to add dragons in a proper way. Currently, Dragons have two types: Ice and Fire. Fire Dragons breathe fire and roam most of the habitable world, whilst Ice Dragons inhabit the coldest places known to man and freeze their prey to death. Both kinds of dragons spawn naturally as adults. In 1.2.0, Hippogryphs, Gorgons, and Pixies have been added. In 1.3.0, Dragons were redone and Cyclopes have been added. In 1.4.0, Sirens, Hippocampi, and Death worms have been added. In 1.5.0, Cockatrices, Stymphalian Birds, and Trolls have been added. In 1.6.0, Myrmex have been added. In 1.7.0, Amphitheres and Sea Serpents have been added. Ice and Fire aims to bring to you a revolutionary dragon experience. In additional updates we will invest time in other mythical monsters and creatures. I hope you take my ideas into consideration. If you need any references to white walkers there's many images of them and how they fight on youtube. Also pictures of the white knight (The leader). Edit: Also dire wolves would be a great mob for you to tame, and you would be able to find them in snowy biomes as well. This isn't a "Game of thrones" mod. Or is it? This mod is based off of game of thrones and other shows/movies you rat. Search up what ice and fire means. Q. What inspired you to make this mod? Alex666: A. Never have I ever seen a mod represent dragons like I want them. They are always hexapodedal, or they are small or the models are straight up unsatisfying. This mod is more of a mythological mod than a Game of Thrones one. 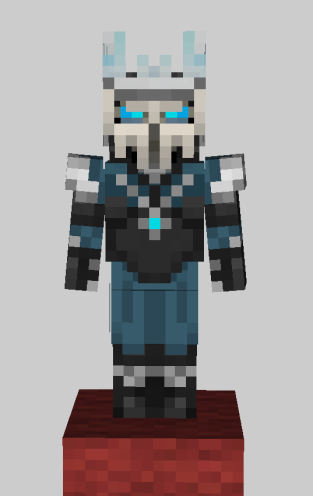 However, there are some mobs planned that seem like white walkers to me. Just keep in mind this is still a concept and is subject to change. They've already changed the Dread King to the Dread Queen. I'm having an issue with this mod.. Currently, whenever I ride a hippogryph that I've tamed, and get off of it, I'm no longer able to open doors, chests, etc. I've tried reinstalling the game, and all of the mods I have downloaded from my friend's server. Can anyone help me with this issue? I would really like to be able to use my hippogryph. Other friends on the server do not have this issue. Well, if it is a round cave with charred stone and ores your Steve have a lot of troubles. Very, very big troubles. Location: everywhere, and yet nowhere. In reply to sound_of_silence22 what is this mod based on btw? Heya, i see you are adding more and more beasts, that's really cool, i have some suggestions for what you may want to add next. One is Hydra, sure you know what it is, Hydra would have a special ability that actually makes her get stronger when you attack her with normal weapons (since in the original myth Hydra grew two or even three heads for each one that was cut off) so each time you strike it with regular weapon it looses a heart but then immediately heals it and gets additional two hearts. The only way to kill a Hydra would be to attack it with a sword that has fire aspect on it, since in original myth Hercules killed Hydra by having Iolaius torch the neck stumps, dragonbone blade of fire would work too. Another creature could be a Basilisk, which would be sort of similar to a dragon but with four legs and no wings, and using poison instead of fire and ice(Hydra could also have poison attack) Basilisk would live in swamps and forests. Then there is sphynx, the main defining characteristic of sphynx is that they love riddles, you could have a lair of sphynx that requires solving a simple riddle to enter, if the riddle is solved incorrectly or the lair breached into then the sphynx will be hostile, but if you solve it correctly then the sphynx becomes passive. Another creature you can add would be a Manticore, a lion with wings and scorpion tail, not much else to it really, it could sting you and inflict poison effect. And lastly there is Minotaur, the way it was originally depicted, minotaurs would live in labyrinths and rush the player when he is turned the other way, they would try to avoid head on confrontation if they can. Hydra is currently planned. Just keep in mind this is a concept and they might change it. I found a skeleton of a stage two ice dragon. I did not kill it. The body was in an ice plains biome. 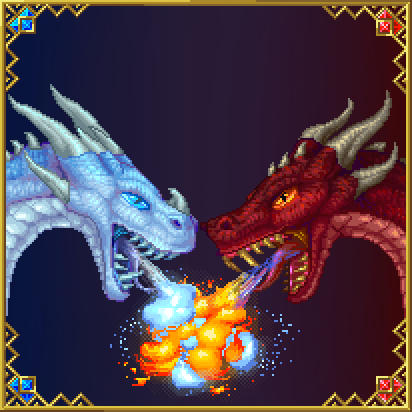 also, do dragons fight both their own kind and fire dragons? if so that would explain how it died. It's completly normal. In "cold" biomes you have ice dragons skeletons, and in "hot" biomes you get fire dragons skeletons. But why? Hungry? Snow Villagers? Death Worms? Also, Ice and Fire dragons hate each other.